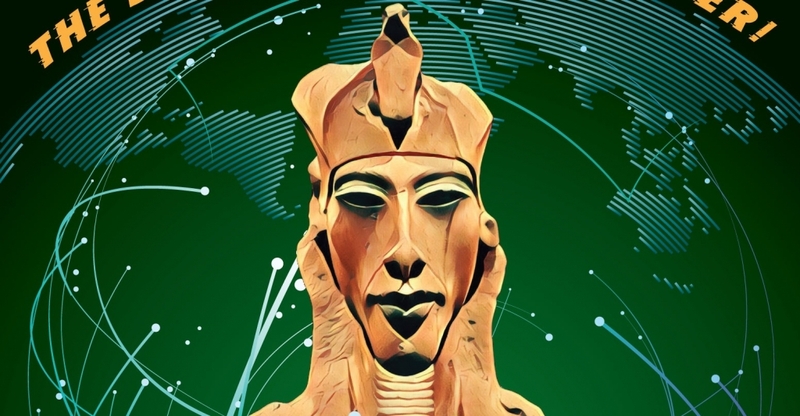 The HP Lovecraft Historical Society has partnered with Chaosium (publishers of Call of Cthulhu) to bring to life a beloved adventure–Masks of Nyarlathotep. Listen as a doomed investigation brings doomsday nigh. 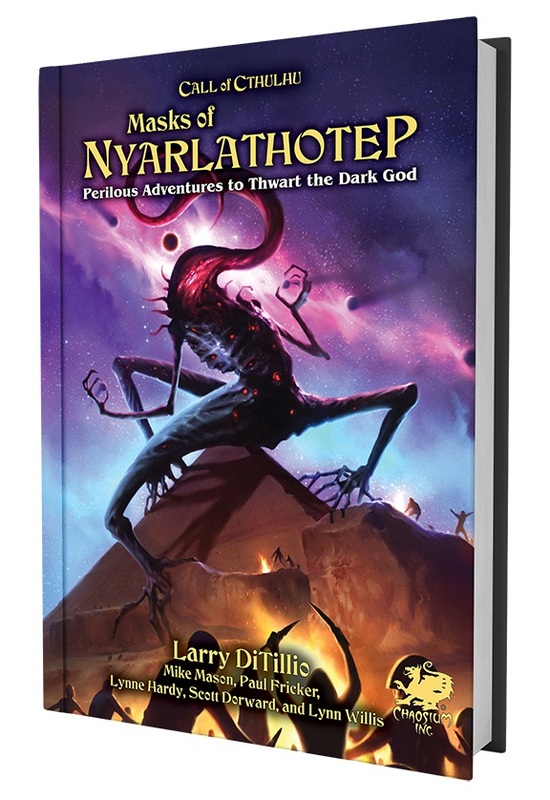 Masks of Nyarlathotep is a classic adventure for Call of Cthulhu. Sending investigators looking into the death of an old friend and a doomed expedition which quickly spreads out, leading from one encounter with cultists to another, with the fate of the world at stake. In addition to being an RPG Module that you’ll be able to grab later this year, the HP Lovecraft Society have lovingly adapted it into a script for a Radio Play–one which you can pre-order today. And on top of that, you can also get a bunch of props associated with the play, including newspaper clippings, letters, and other documents. First up here’s the announcement, where you can find all the relevant details about the storyline. Now in production is the most massive episode of Dark Adventure yet conceived. Based on the beloved Chaosium role-playing supplement, this will be a gigantic production over six hours in length and with more props than usual. This show is still in the works and is not yet available for pre-order. We hope to record it in June and release it in early August. The details of the various editions are subject to change and we will post progress updates here and on our News & Events page, including pre-order announcements. We thank you for your enthusiasm, interest, and patience. Now here’s a look at the show itself. 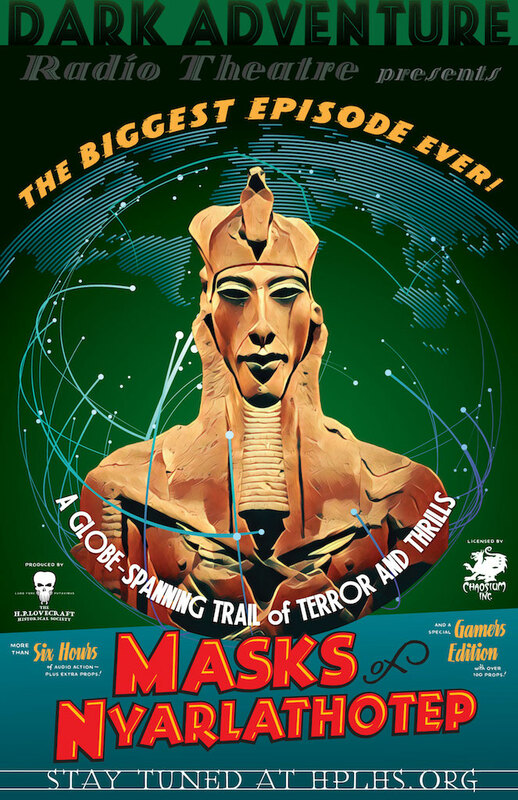 Dark Adventure Radio Theatre: Masks of Nyarlathotep is an epic tale of globe-trotting adventure inspired by the works of H.P. Lovecraft, presented as a 1930s-style radio drama. Dark Adventure Radio Theatre presents the tale with an absurdly large cast of professional actors, exciting sound effects and thrilling original music by Troy Sterling Nies. Click for more information about our other Lovecraft stories in the Dark Adventure Radio Theatre series. They’re like movies you can enjoy with your eyes closed. Like many Lovecraft fans, we played Chaosium’s celebrated role playing game Call of Cthulhu®. Now, in partnership with Chaosium, we’ve adapted their most famed and beloved game supplement of all time — Masks of Nyarlathotep —into a fully dramatized 6 disc super episode of Dark Adventure Radio Theatre. And if you’ve never heard of or played the game – don’t worry, you don’t need to know anything about the game to enjoy this super-sized episode. All of these great extras will be complemented by the fantastic artwork of illustrator Darrell Tutchton in the style you’ve come to know and love from other episodes of Dark Adventure Radio Theatre. Orders for the CD version will include a free digital download of the show.